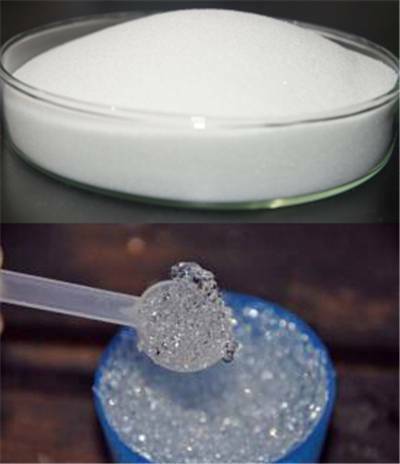 Sodium polyacrylate, also known as waterlock, is a polymer widely used in consumer products. It has the ability to absorb as much as 200 to 300 times its mass in water. Acrylate polymers generally are considered to possess an anionic charge. While sodium neutralized polyacrylates are the most common form used in industry, there are also other salts available including potassium, lithium and ammonium. Keep packing unopened and undamaged. Store at room temperature in a clean and aerated place. The use of this product as a food additive might be subject to regulatory restrictions and limitations. Compliance with national legislation should be ascertained by the user. a. 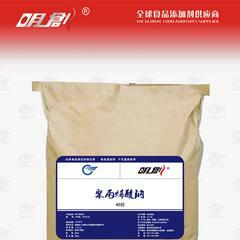 Strengthen adhesion of protein in raw material flour. b. Scattered starch ion combined with each other,permeate to the reticularstructure of protein , to change its structure,enhance the viscoelasticity of food. f. To improve the dough to prevent drying. 2. As the electrolyte , sodium polyacrylate interract with protein to change protein structure,enhance the viscoelasticity of food , improve the proteintissue. We have the precision instrument , advanced equipment , outstanding team . We can provide you with good quality and attractive price.Join us , contact me .